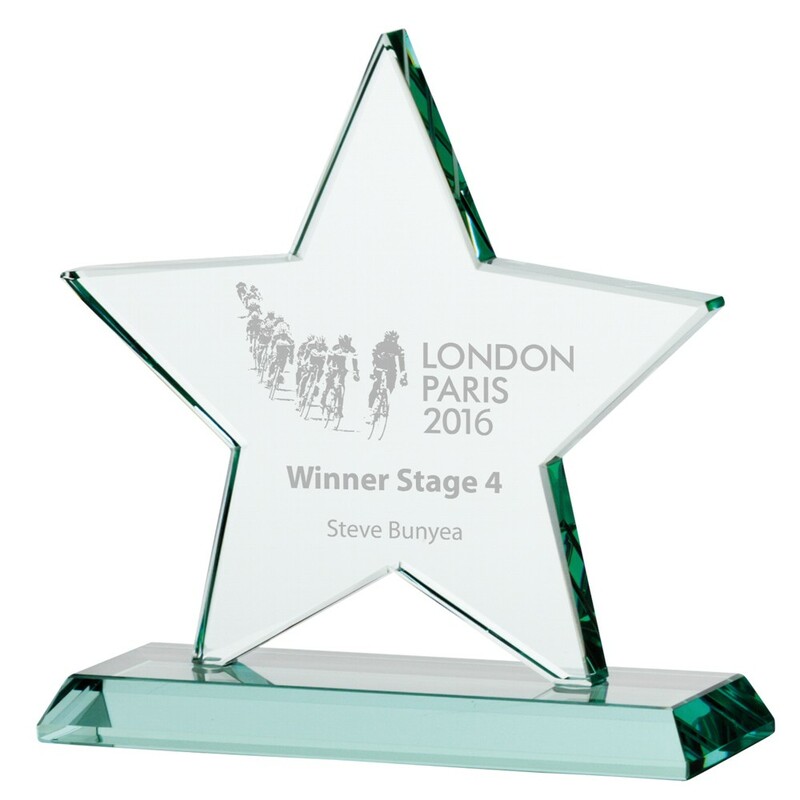 Engraved Premium Jade Glass Star Award. Available in 3 sizes, 135mm, 155mm and 170mm high. Premium jade 12 mm thick crystal mounted onto a heavy crystal base, complete in a presentation box.